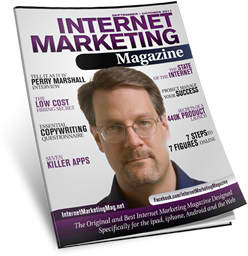 I’m famous for my Google books, 80/20, B2B marketing techniques, my autoresponder “Maze” strategy, and all-around geekiness. But anyone who’s been around Planet Perry for any length of time well knows… email is the real secret sauce. Now having a significant number of people who’ve been reading my emails almost daily for ten years, I can assure you… a close, personal, emotional bond with people via email is one of the most powerful assets you can ever own. Period. I’m offering something very special, highly unusual, at a price that’s so insanely affordable that no mentally coherent person can refuse. I’ll get to that in a minute. But let me tell you where this idea came from. 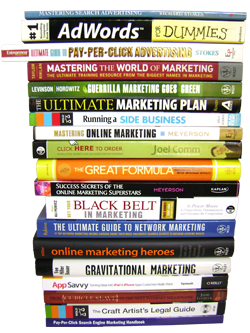 Perry’s work is referenced in dozens of influential marketing books like these. So I plugged my Mac into the projector, opened Text Edit and started firing questions at her. She started answering and everyone watched that email grow from conception to birth, one word at a time. They heard every question and impulse, every crazy idea that tumbled out of my brain in the process, everything that got swept off the table. Watched every word on the screen. Then they watched me edit, clean up, sharpen, polish and hone. When I was done I popped a copy to Brittany. She sent it out and filled her offer to capacity. And the next person in the room was eager to watch me do it again, for them. Both of Dan’s groups asked for this and they both got it. Hour for hour and dollar for dollar, every person in the room paid something like $1,000 to $2,000 to watch the magic. They told me it was the highlight of the two days they spent with me. You’ll see all the tools and techniques I use along the way, and witness how an ugly gray hunk of play-doh becomes a finely sculptured work of art. Each session will run about an hour and a half. Well… how much could I charge for this? Based on everything else I do and offer, I could sensibly charge up to $1500. One hundred and Ninety-Seven dollars. CHEAP! Perry, I have been following your material since a while ago. I have applied just 2-5% of all your teachings (there’s a lot more in Perry’s world) and just with that I’m WAY more productive than I have ever been, making more money working less and less, and this is just beginning. My business is not consulting, but manufacturing for a tiny niche, worldwide! (I built specialty products, sell online, ship worldwide, all with a $120/year website). Most of your teachings, then, are perfect for my business model. THANKS! I have to second the guy that says you’re the only one whose emails he always reads. In my case, when I first started receiving your emails after I read your AdWords book, I was like “there we go again” and didn’t ever bother much to read any of them. Then about 3 weeks later, I just happened to receive an email from you and decided to check it out. I was blown away by how relevant and informative it actually was. So I went and searched my email box with a fine tooth comb to find all the emails from you or your associates and I read every one of them. Now, I always look forward to your emails. I have never seen anything like this and I have been on countless email lists, believe me. The catch is: Everyone who signs up, also signs up for New Renaissance. New Renaissance is my $99 per month membership that gets you my newsletter, with a bunch of bonuses shipped to you via snail mail, and my legendary New Renaissance Private Forum. You get New Renaissance free the first month, and 30 days later we whack your card for $99. We do so each month until such time as you decide to leave. What I am asking, in exchange for this unbelievable wealth of knowledge and live education experience that you get for only $197, is that you give New Renaissance a good college try. INCLUDING – using our private discussion board. Because if you use New Renaissance and tap into the incredible wealth of knowledge that my other members represent, you will never want to go without it. You will feel that the $99 is CHEAP CHEAP CHEAP insurance against stupidity spasms, missed opportunities and whatever other perils that steal success from well-meaning, worthy entrepreneurs. I am remiss for not promoting New Renaissance near enough. It is absolutely one of the best-kept secrets of Planet Perry. We do a live training each month, covering all manner of hot relevant topics – not just AdWords but conversion, pricing, brand new developments, and Live Q&A. Many members have built million dollar businesses and priceless educations, primarily through what they’ve gleaned from New Renaissance. That’s why I’m not charging a thousand bucks for this. I just want you to try New Renaissance free for 30 days and I’m giving you this incredible email copywriting education for one hundred and ninty-seven bucks. Click the big yellow Order Now button to sign up and get access to all three sessions. You’ll absorb more secrets of persuasive email copywriting in these fast-paced sessions than you’ve picked up from stacks of books and multi-thousand dollar courses. P.S. : If you’re already in New Renaissance, you can just sign up for $197 and everything else will stay the same. If you’re in Renaissance Club, you’ll get an instant upgrade. This is the thinking behind the writing – I’ve taken notes and created my own system of layers which will be invaluable. Even a comment like it’s not uncommon for Perry to spend an hour on a 500 word email. It’s $1000 an hour work if it is going into a long-term email. “I take my time. Do it right.” That makes a huge difference to my way of thinking. This stuff is gold… very good stuff. You guys are good. I learned I lot because I was unconscious competent in writing and now I am conscious competent because now I know the why and that makes a huge difference. These are six- and seven- figure ideas for sure. This is going to be a rockin’ year. (not the best exciting verb, but better than ‘good…’) EXCELLENT stuff! Thanks Perry and Jack! Boys, this is TOTALLY delivering the goods. This is such a BARGAIN for the — what? — $67 we invested? Hey, this series was fantastic and an incredible bargain. It’s good! That stuff about the “lizard brain” pass and resonating could add thousands of dollars to my bottom line this year.